With a name like Fairway RV Park you can be quite certain there’s a golf course nearby. Fairway RV Park borders Woodland Hills Golf Club in the historic town of Nacogdoches, Texas about two hours north of Houston. Full hookups and 40 sites are available at Fairway RV Park. Other amenities include 20/30/50 amp electrical, water, sewer, showers, restrooms, laundry facilities, free Wi-Fi, and picnic tables at each site. This quiet, pet-friendly park is set on 110 acres. Those planning on golfing can take advantage of the RV and golf combo packages. For $250, the weekly plan for two includes the RV site and unlimited golf at Woodland Hills Golf Club. 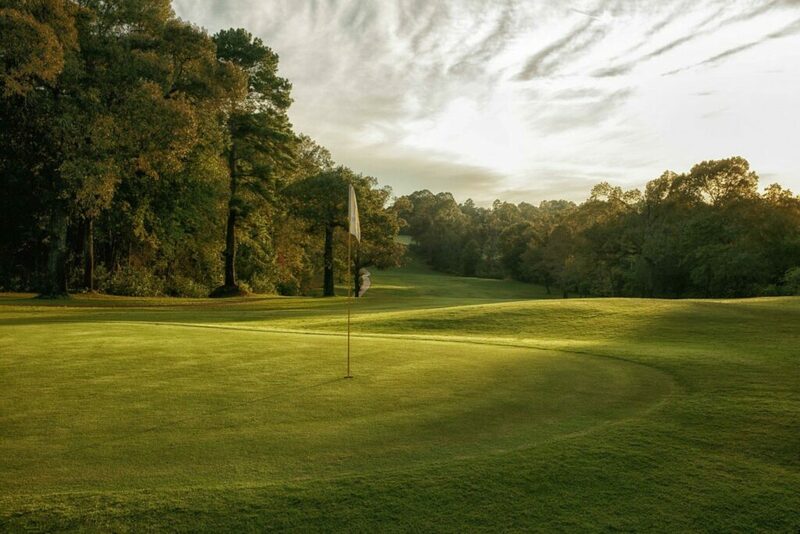 Open to the public, the course is nestled in the pines of East Texas. It features finely manicured greens, tree-lined fairways, and great scenery at every hole. There is also a full-service pro shop, driving range, and practice green, along with foot golf for all ages. The 18-hole, par 72 Woodland Hills features four sets of tee boxes and stretches to 6,620 yards from the tips. This is an excellent golf choice any time of year. At nearby Stephen F. Austin State University, you can find many fine attractions, none more picturesque than the Ruby M. Mize Azalea Garden. Billed as the largest azalea garden in Texas, this eight-acre garden is absolutely breathtaking during springtime. It also features lots of colors during the fall months. 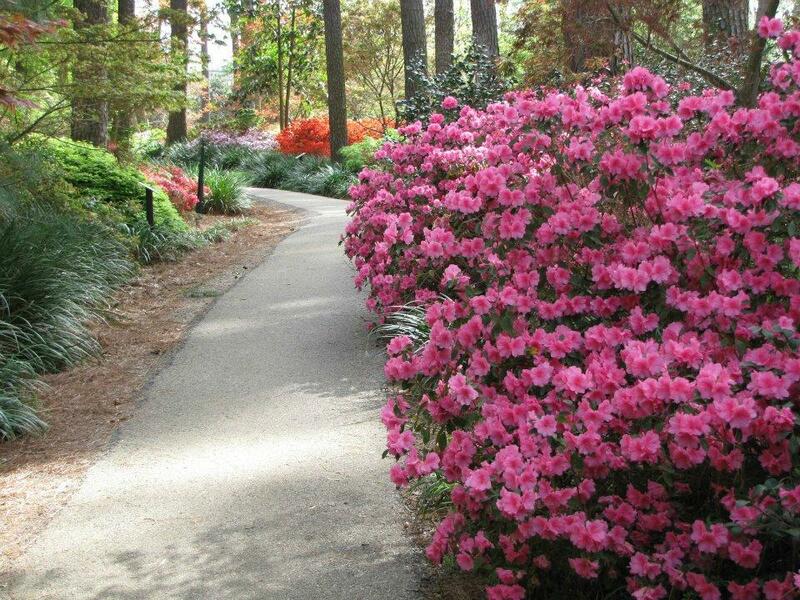 Ruby M. Mize Azalea Garden. Photo by Darba R.
Also worth a visit is Millard’s Crossing Historic Village, an authentic reconstructed historic village in Nacogdoches. The village portrays the spirit and ingenuity of pioneer settlement in East Texas with the goal of creating a greater awareness, understanding, and appreciation of the region’s pioneer and agricultural heritage. Founded in 1779, Nacogdoches is considered to be the oldest town in the Lone Star State. For more information on the area, see Visit Nacogdoches. 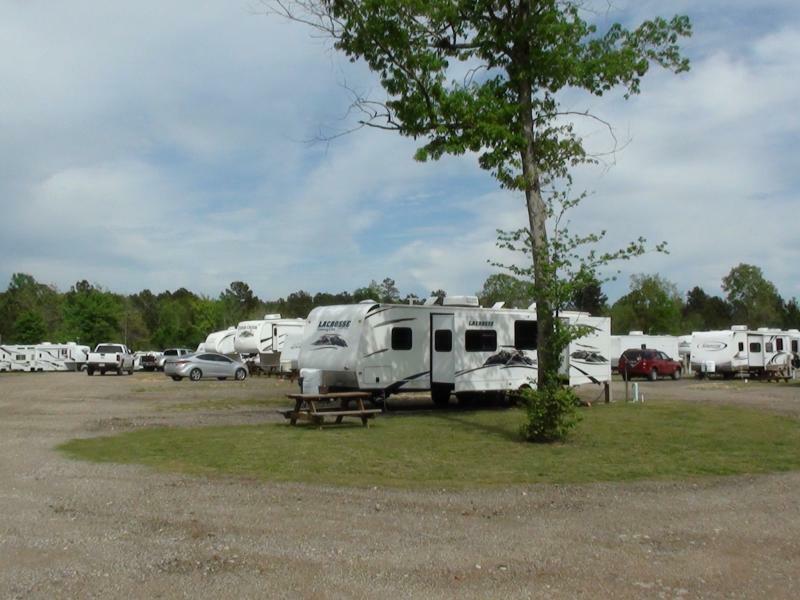 You can learn more about Fairway RV Park on Campground Reviews. Texas, 100+ degree summers and no shade. Best do that spring or fall! I try my best to avoid Texas. Unfortunately, half the state comes to Colorado every summer. You can spot them wearing sweaters and jackets when it is 80. Look at all the money those Texans spend! Wow! Such charming comments about Texas and Texans! I’m happy to say that I love the place and am STILL able to think of kind things to say about other states AND their people! Ya’ll come see us, we will even treat you nice, no matter what.